Okay, maybe not oceanfront property, but we have beautiful waterfront properties! Arizona has hundreds of lakes, the majority of them are man-made, created for irrigation, power generation or flood control. The largest percentage of these artificial lakes is associated with recreational uses, either golf courses or open space, followed by lakes located in residential developments… and not just the wealthy get waterfront properties! 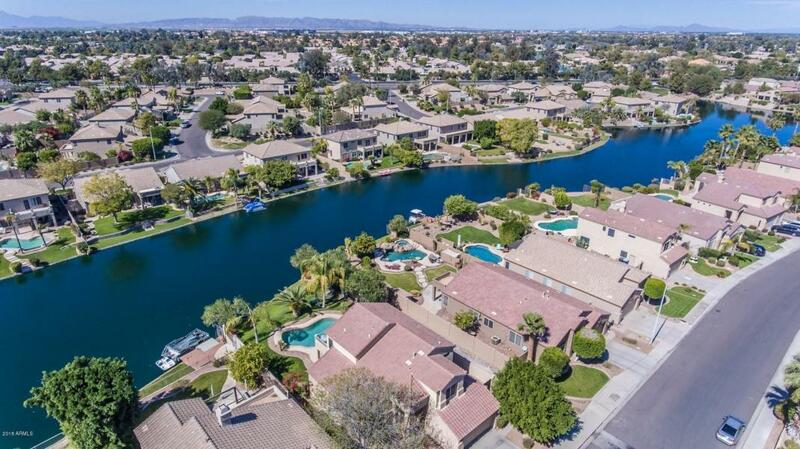 Here are TEN residential properties in the East Valley, that feature waterfront properties starting in the mid-$100k range, and up to $600,000. 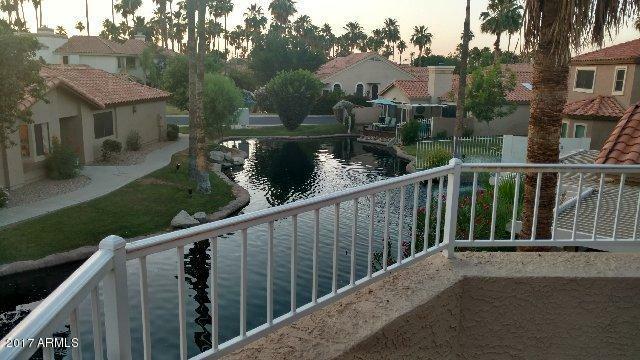 Fantastic villa on gorgeous golf course lot over looking lake with fountain! Located on the 13th tee in 50+ adult community, with all the wonderful amenities of resort-type living! 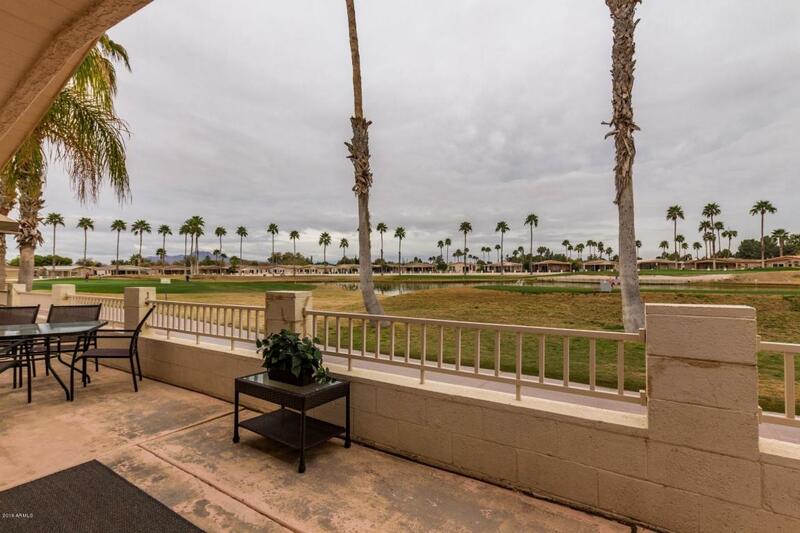 Guarded Gate, enjoy a golf game, and lots of amenities in club house. Best bang for your buck! 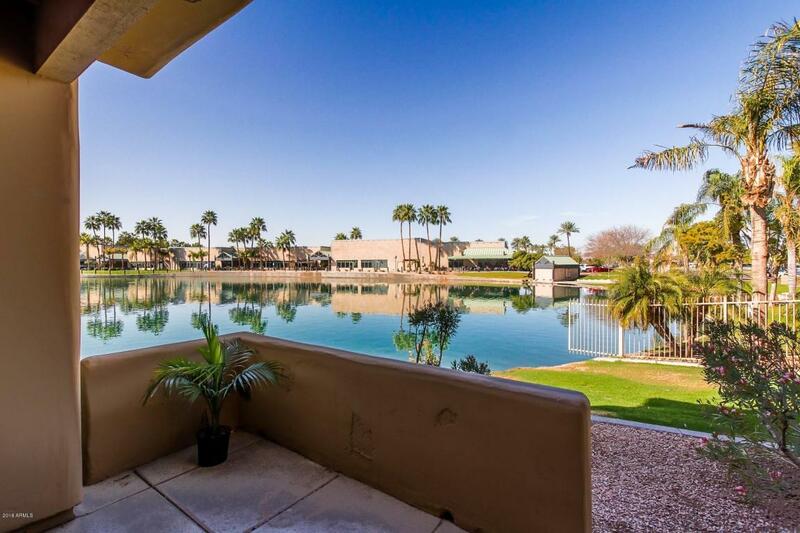 Beautiful 2 Bedroom 2 Bath ground floor, lakeside, single story condo! Spacious, neutral color palette, well taken care of, upgrades throughout, marble tile flooring throughout. 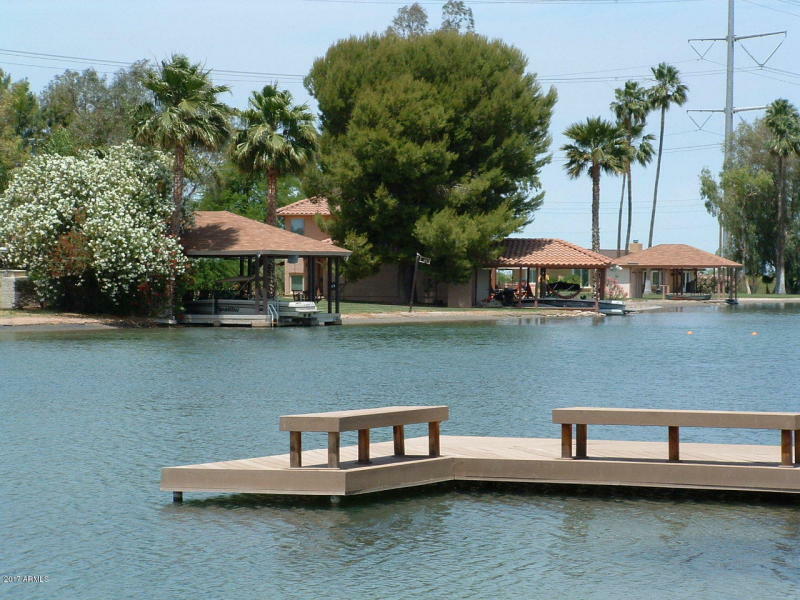 Enjoy your private dock for boating, fishing and kayaking. 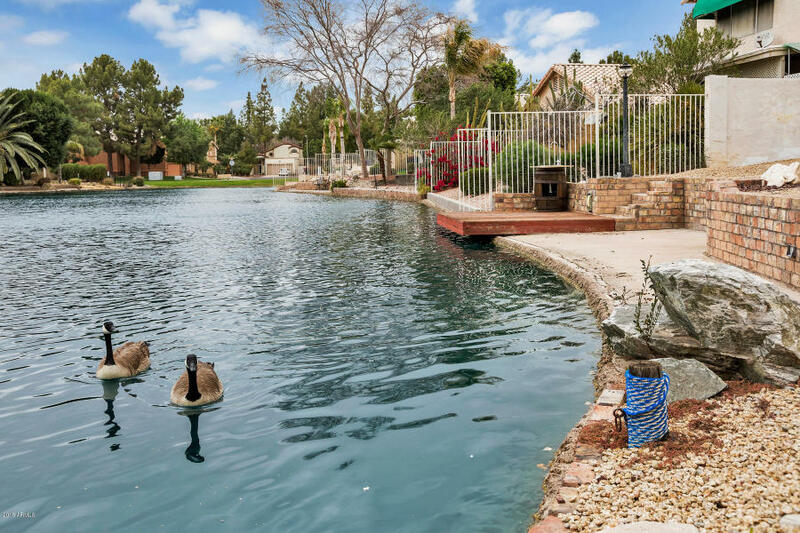 Three bedroom, two bath, in an award-winning community with waterfalls, walking & biking paths, community pool, spa, playgrounds, basketball and tennis courts. Gated community. Gorgeous backyard. This three bedroom, three bath townhome has bay windows in the kitchen and dining room. Take your boat in the lake! Completely remodeled single-level home features a split floor plan with over $55k in upgrades! Vaulted ceilings. Three bedroom, two baths. Fireplace. Stunning backyard boasts 10×20 covered pergola over patio. This one just might be my favorite! 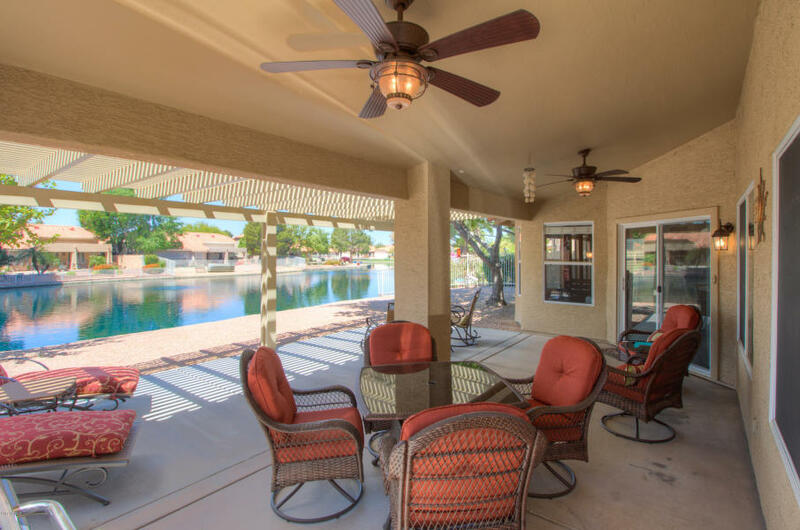 Light & bright single level three bed, two bath home with guest casita! Model sharp. Heated pool. Waterside dock seating. Plantation shutters and white cabinetry! This is the surprise of the day! This three bed, three bath manufactured home is actually on beachfront property! Right out your backdoor, you can swim, paddle board, canoe and water ski!The home sits on nearly ¾ of an acre with a 1200 sq ft detached garage. I wouldn’t ever want to leave! 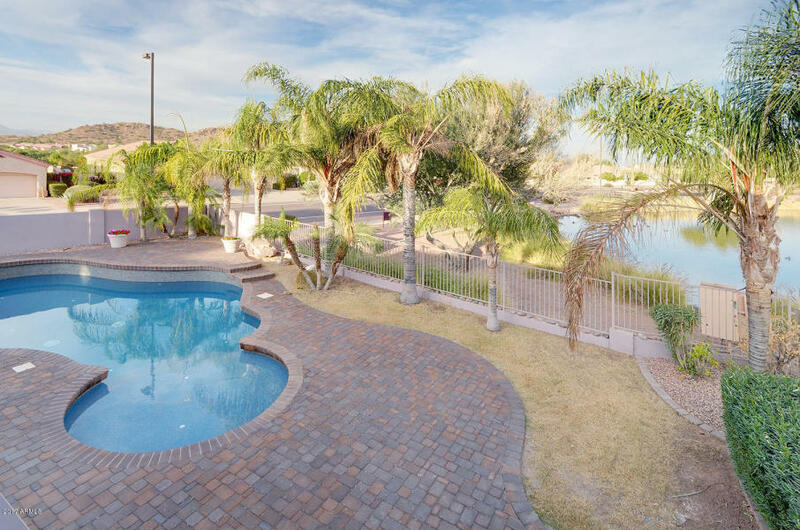 Two-story home with four beds, three baths and a private pool! Green grass & tropical mature landscape! 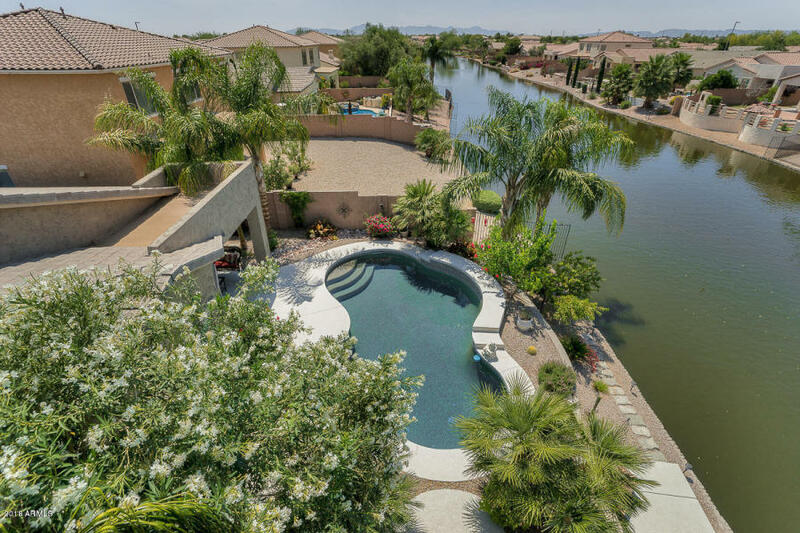 Kitchen has granite counters and magnificent views to the pool & water! Tremendous tri-level home features over 3000 sf and beautiful slate, hardwood and travertine flooring. Knotty Alder cabinets & stainless steel appliances. Amazing backyard! Spectacular Single level with gourmet kitchen! Dramatic entrance, formal dining with lake views. Two fireplaces. Four bedrooms. Private pool. Oversized outdoor patio!